Absolutely brilliant. 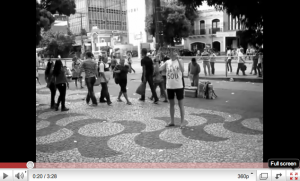 Here is a short clip that one of our TIE partners made for a campaign against discrimination of people living with HIV – ´Positive Hugs in Recife, Brazil´. Well done GTP+ and Emma! Have a look and pass it on to your friends. ps Abraços Gratis is Portuguese for ´Free Hugs´.